Noah's Ark—the latest in VR technology and a milestone of human innovation—is set for a showcase to Japan's privileged children. They have the honour of beginning a new revolution in gaming; however, their carefree fun is cut short when a company employee is found murdered, with his dying message pointing to a clue hidden within the Ark. 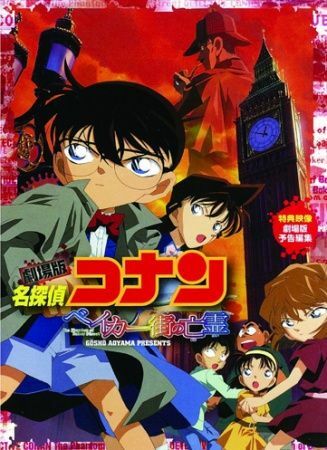 Along with the Detective Boys and Ran Mouri, Conan Edogawa enters Noah's Ark to solve this mystery and ensure the perpetrator is caught. But once they're inside the Ark, it takes on a mind of its own, imprisoning them and the children within its worlds. To escape and bring the murderer to justice, Conan and company must navigate a simulated 19th century London and track down the infamous Jack the Ripper—with the lives of 50 innocent children depending on them.